Outside of New Zealand itself, South Africa probably has one of the biggest All Black fan bases that isn't made up of expats. This is the result of a long history of racial division in rugby (you can read more about it here) but it's always been an interesting contradiction whenever the Bokke face off the Kiwis on home ground. 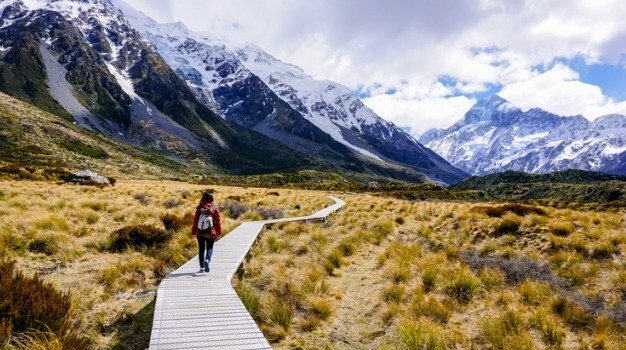 Wherever your loyalties may lie, seeing the All Blacks play on their turf might be a bucket list dream for some (especially if the Bokke pummel them) and you can plan a whole New Zealand trip around the country's biggest obsession. If you want to get tickets, always make sure to book far in advance for any All Black game and only buy from their official website. Tickets can range anywhere between R470 to R 2 390 according to Kiwipal, but prices drop considerably for Super Rugby and local club matches. From rugby-centric attractions to the top stadiums to the coolest sports bars, here's a round-up to get the best out of New Zealand rugby experience on your holiday. You can walk in history where the first rugby match was held in the country in 1870. This is not only one of the oldest sports grounds in New Zealand, but also the oddest - its pitch is made from eco-friendly recycled glass that looks more like sand than grass. If you still have to save up a while to visit the land of the All Blacks, wait until 2020 when the fully immersive rugby experience where you can try out your haka skills and test your mettle against what some claim to be the best in the world. Made world famous by the All Blacks, the Haka is a traditional Maori war dance that displays the strength of a group's unity - and how best to get into the rugby spirit by learning the Haka at most of the Maori cultural centres around New Zealand. Nearby attraction: Mount Eden is a volcanic peak with easy hiking trails that will also give you stunning views of Auckland. The surrounding area is also a trendy food, bookshop and vintage clothes spot. Today kicks off 6 straight weekends featuring 11 event days for our team. The 4 day @tematatini Kapa Haka Festival will be followed by @eminem, 3x @hurricanesrugby games, 2x @wellingtonphoenix games and @nitrocircus. Nearby attraction: Learn more about the history, culture and nature of the country at the Museum of New Zealand - also called Te Papa Tongarewa. This name means 'container of treasures' in Maori. Nearby attraction: The jewel of the city, Pukekura Park is an urban garden that offers bush walks, lakes, landscaped gardens and a tea house. Nearby attraction: Nearby is the train station that's the starting point of the Taieri Gorge Railway - a beautiful train journey through New Zealand's beautiful nature with stops along the way and onboard outside viewing platforms. Nearby attraction: Be amazed by Rotorua's geothermal wonders at Te Puia where a Maori cultural centre is situated next to bubbling mud, pools of boiling water and jaw-dropping geysers - with Pohutu being the star attraction. You won't always be able to get a ticket to an international match - the next best thing is to join the Kiwis at their local watering holes and try your best to disappear into the crowd with your Springbok colours. Here are some of the top sports bars to check out in New Zealand.